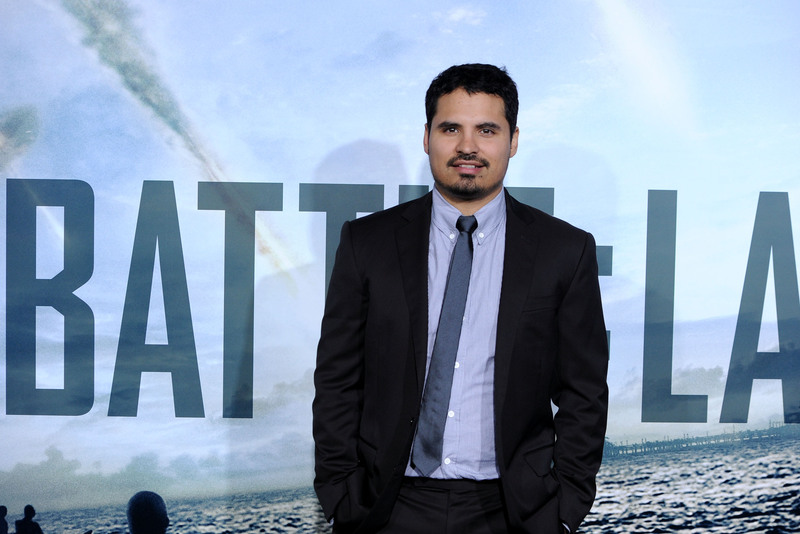 After nearly 20 years in Hollywood, Michael Pena might finally be making it big, in terms of the public conscious. The actor, most recently seen in American Hustle , has starred in over 30 films since his 1994 debut, including two Oscar Best Picture winners and a handful of contenders. He's acted alongside Sandra Bullock and Meryl Streep, has guest-starred on nearly 20 TV shows, and, last year, earned a nomination from the Indie Spirit Awards. And yet to most moviegoers, Pena's still a relative unknown, just that guy you vaguely recognize from that movie you can't recall. This year, though, all of that is changing. After two decades of staying under the radar, Pena is finally getting his Hollywood big break, thanks to the seven projects he has in the works. Among them, there's Fury, the Brad Pitt-starring World War II thriller; Gracepoint, a mini-series with Nick Nolte and David Tennant; and Chavez , a Cesar Chavez biopic starring Pena as the famed labor leader. And on Wednesday, it was announced that Pena is in talks to star alongside Paul Rudd in Ant-Man , an upcoming Marvel superhero film aiming to be the next big blockbuster. If all goes well, Pena's 2014 roster should finally bring him the success he's worked for for so long. Keep an eye out for him — six months from now, Pena could be the Next Big Thing. It's a silly title, seeing as Pena's far from a newcomer; here are five films you probably didn't realize you remembered him from. Pena had a small but pivotal role in the Golden Globe-winning film, playing a Sheikh used by Irving (Christian Bale) to lure politicians into committing crimes. Hustle's main actors are the ones receiving all the acclaim, but it's the performances of the movie's entire ensemble, including Pena, that helped earn it such high praise. One of the best movies of 2012 was also one of the most underrated, with a middling box office run and no major award nominations. Yet End of Watch, a police drama starring Pena and Jake Gyllenhaal as L.A. cops and best friends is a must-see, thanks in large part to the strength of its actors performances. Pena rightfully earned an Indie Spirit Award nomination for his work in the film. If you missed it in theaters, check it out — it's one of the most powerful movies of the decade. When people talk about 9/11 movies, it's always the other one, United 93. That film is certainly deserving of the praise, but it'd be a shame to ignore World Trade Center, a powerfully moving film starring Pena and Nicolas Cage as police officers trapped under rubble. It's a tragic, terrifying movie, but worth the watch because of Pena and Cage's wonderful performances. Pena's role in the Oscar-winning drama was small but significant. As a border patrol officer who arrests a nanny (Adriana Barraza) under the assumption that she was trying to cross the border with two kidnapped American children, Pena signified the film's major theme of morality. His character's actions cost another's her freedom, and the few scenes that he has, in which he questions the desperate nanny, are electrifying. When Crash was released, Pena's name was rarely mentioned among the film's cast — despite the fact that his face was on the poster used to promote the movie across America. Still, the racially-charged, Oscar-winning film, featuring Pena as a locksmith fighting to protect his daughter, was the first movie to gain Pena Hollywood recognition, and allowed him to take on increasingly bigger roles in films such as Million Dollar Baby and TV shows like The Shield.